So doing monthly reviews didn’t happen, and I’ve still not even finished all my end of year posts. Mostly because although I was doing better with physical stuff and things like watching telly and listening to podcasts, actually posting things (here and in places like Twitter and Facebook) was really hard for some reason. 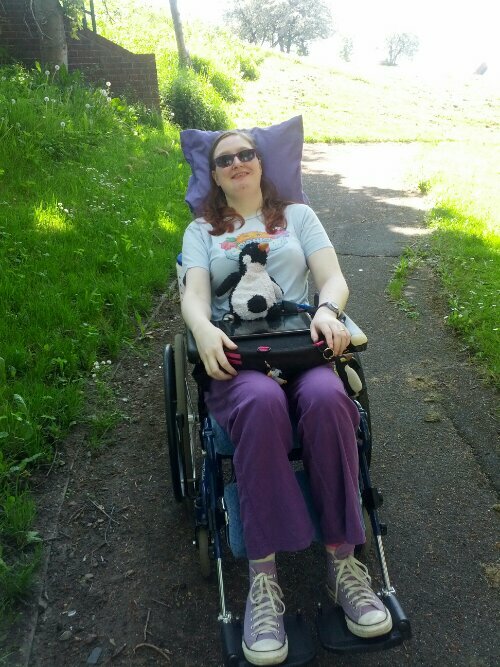 My new wheelchair continues to be awesome. I went on an adventure in February, which included rejoining the library so I could access ebooks, getting my head shaved at the barbers again, and trying out a new restaurant with Johan. I technically was well enough to go out again in March, but Johan had planned to go running three nights in a row in the middle of nowhere so I had to save my energy for going into respite. The first weekend while I was in respite Johan did the Dark Skies Kielder Triple, where he came fourth (and in the double). That was a 10 mile race the first night, a 26.5 mile “marathon” the second night, and a 14 mile “half marathon” the third night. The triple is doing all of them, the double is dropping the 10 mile race. He really enjoyed it and luckily on the last night it was clear enough for him to see the stars, which he said was amazing as Kielder has very little light pollution. I’m really proud of him for managing it all and doing so well. When he got home he visited me (and enjoyed not having to be carer for a bit) and also rode on trains to various places in northern England, including Carlisle and visiting his parents in Leeds. The weekend after he was in London for QuickCade, a speedrunning marathon. I managed to watch his run of Chiki Chiki boys, but wasn’t really well enough to watch more. I had hoped to catch up on some TV shows and such while in respite, but the noise and changes to my usual routine meant I wasn’t coping as well as I hoped. Since then I’ve mostly been resting. I gave up mindlessly browsing Reddit for Lent, which has been a little hard at times but meant I have had time for other stuff, mostly reading TV Tropes. I’ve managed reading a few books which I’m happy about. Yesterday was the first day I felt kinda with it again since getting home, and today I’ve been well enough to go on my computer where I’ve sorted some stuff out and managed to play a bit of World of Warcraft. Sammie introduced me to Happy Colour, which is a colouring app where you don’t need to choose the colours so great for me when I’m not doing so well. It’s pretty much replaced the cross stitch app for now. I’ve also stopped playing Animal Crossing Pocket Camp as the constant events meant I felt overwhelmed, and they introduced new features that pushed the fortune cookies (loot boxes) even harder. I’m still playing Godville and Neko Atsume, and I’ve started Lost Island and restarted Gardenscapes as well. Get properly fitted for a wheelchair 😛 Won a tribunal. I also went for a meal with Sammie, and met some of the Running Ninjas. 2. Did you keep your New Year’s Goals, and will you make more for next year? Some of them. I do have goals for this year but I’m not sure when I’ll be blogging them. My sister Meggy had a baby, so I have a new nephew! He’s very cute. No one super close, but a few people I was friendly with and a couple I wish I had been. 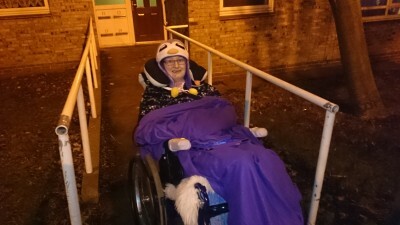 Local court for PIP tribunal in February (in the snow- getting onto the ramp towards our flat was interesting as we had no grip). Went into Gateshead/Newcastle in April and November, the second time Sammie joined us. Went into the care home in July, watched fireworks in the local park just before Guy Fawkes night, and went to Gateshead Parkrun in December. 7. What will you most remember from 2018 and why? New nephew being born (because that doesn’t happen every year). 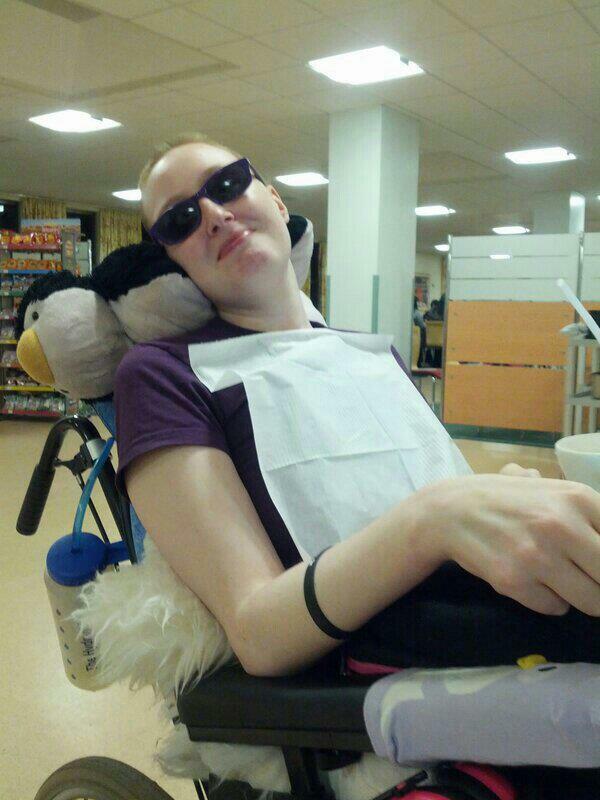 Getting my new wheelchair, which hopefully will mean more freedom once my body starts behaving. Winning the PIP tribunal. It was a bit ridiculous it got to that stage, but I managed to answer all the questions and we got the result we wanted. 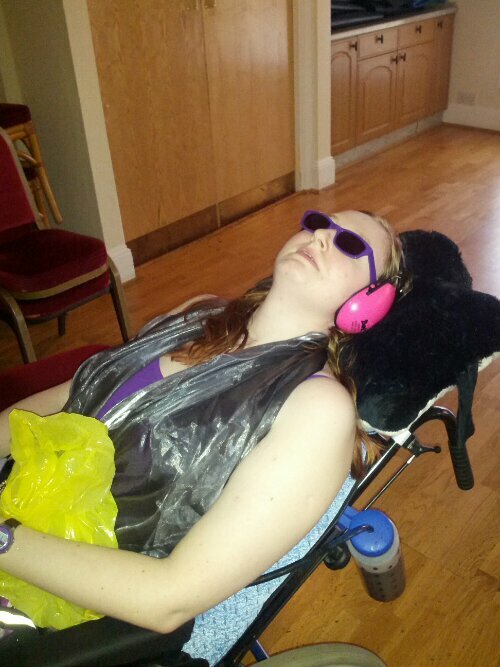 Finally getting my wheelchair assessment sorted and a wheelchair that fits was also great. Only managing one shower all year. I think we might need to tell the OT that shower chair really isn’t suitable for me, as even adding extra cushions and straps and such doesn’t help enough. I also ended up not completing the weekly blog posts, but that was because my brain just gave up after going out and then getting multiple colds. 10. Did you suffer any new illness or injury? Apart from catching colds, I had a lot more migraines than I’ve had previously. Might need to mention it to the doctor as it is interfering with stuff. I also did something to my left hip in September and now I can’t straighten that leg properly and it often wakes me up with pain, which isn’t great. I was hoping it would get better by itself. 11. What was the best thing someone gave you? Bilbo Bbox was pretty awesome as well. 12. Who impressed you this year? Johan continued to make a ton of progress with his running and volunteering. Sammie continued being caring, thoughtful and awesome. Everyone who survived another pretty terrible year. 13. What made you appalled and/or depressed? Politics. Responses to politics. TERFs. Bigots. DWP. People hurting my friends. 14. Other than food, bills and disability stuff, where did most of your money go? I also upped my Patreon donations after getting my PIP sorted, and bought a Switch that Johan mostly uses as the controls are too hard for me. Sammie! Seeing friends! Bridges! Trains! 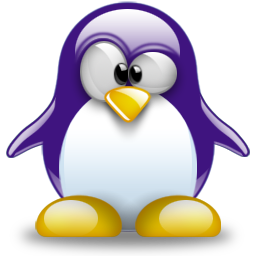 Penguins! 16. What big events will you remember most from 2018? My nephew being born. Meeting the Ninjas. Getting my new wheelchair. b) healthier or more ill? Physically I’m doing better, cognitively I’m doing worse. I can hold my own head up again and it takes longer to faint when sitting more upright, but I end up super frustrated trying to navigate shopping websites as I can’t figure them out. Richer. Got PIP sorted out and got a large back payment with it. It helped. Everything except sleeping 😛 Mostly talking to friends and family, as that got much harder as my brain started playing up. Sleeping (though more wishing I needed less of it). Panicking. Feeling ill. Hearing things (like the doorbell and the phone) that aren’t actually making noise. Being spoilt and eating yummy food while watching stuff on telly 🙂 Johan made roast pork this year, and his roast potatoes were even better than previously. It was awesome. Didn’t get as many decorations up as I wanted though. Johan broke a foot from the Christmas tree and lost another so that didn’t go up, and although I had tinsel I didn’t get to put any up other than on my bed rails. We did have a Christmas penguin on our flat door though (at least I was told there was- Johan wouldn’t take a photo to prove it :P). 21. What did you love in 2018? 22. How many trips out? Steven Universe again. It’s awesome. I got completely caught up (until the new episodes came out in December which I’ve yet to see). I also really enjoyed Doctor Who, though I’ve got a few episodes to catch up on. 24. Do you dislike anyone or anything now that you didn’t dislike this time last year? Not really. I try to avoid people who act badly and hurt people. 26. What was your greatest media discovery? I figured out how to listen to podcasts! Because of how my brain works, I need to do something else that doesn’t involve language while listening, so I either play Animal Crossing Pocket Camp or I do virtual cross stitch. I mostly listened to Welcome to Night Vale, and read the transcripts afterwards to understand everything I missed while listening (as reading is still easier than listening). I also started watching Jessica Kellgren-Fozard on YouTube. Though I was initially put off a little bit by her received pronunciation (I be working class) she’s awesome, disabled, and very, very gay. Bilbo Bbox! 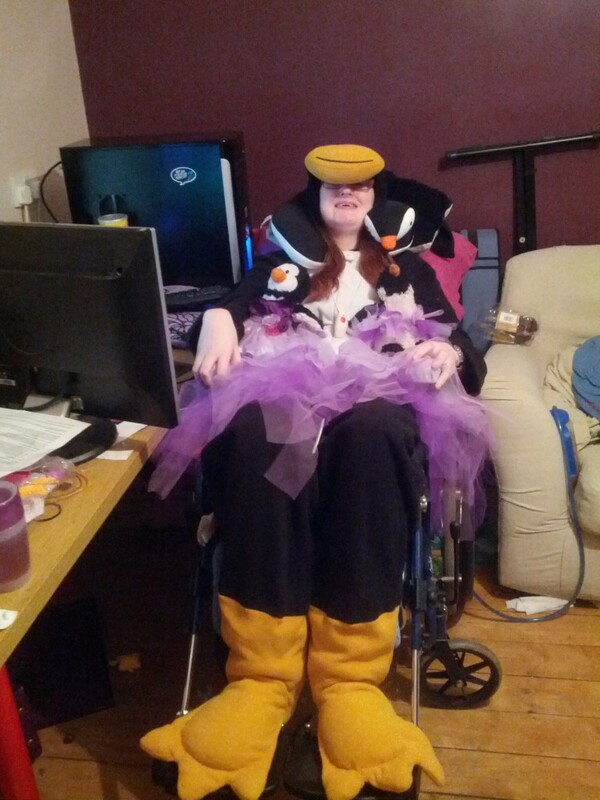 Awesome Bilbo, disability, trans and penguin related tops and stuff! I also got to meet the Running Ninjas, received my new wheelchair, and took Sammie out to dinner. I also won my PIP tribunal. More showers. To watch the Great North Run in person with Sammie (one of the carers didn’t turn up so had to watch it in bed). To go in the living room more (Johan put stuff on the day bed). Johan never did buy me flowers – I ended having to buy them myself. Deadpool. It was really funny. I’m glad Johan was able to watch it with me. T-shirts with penguins, Bilbo or cool writings on them. Open back fleecy pyjama tops. Mostly purple. Going out, add a purple shiny mermaid tail. Penguins, Johan, and Sammie. Distractions like Twitter helped, as did chocolate (I believe it makes me feel better, so thanks to the placebo effect it does). Jessica Kellgren-Fozard. She’s gorgeous (and very monogamous, married, and gay). We still don’t know what’s going to happen when Brexit happens. And the DWP continue making vulnerable peoples’ lives hell. Everyone I’ve not been able to keep up with. It’s probably the hardest part of being ill.
I’ve spoken a few times to one of Sammie’s friends. He’s awesome. I hope to meet him (and Sammie’s other friends) in real life at some point. 39. Tell us a valuable life lesson you learned in 2018? It’s not worth engaging with those who don’t want you to exist. I hope you all had a good time, no matter what you may celebrate. So I failed on the weekly blog post thing. There were good reasons – in November not only did I go to watch fireworks on Guy Fawkes’ Night as I mentioned in the last weekly post, but I also went into Newcastle and had a meal with Sammie! It was very much last minute as that Tuesday (Johan’s free day) I was feeling up to it, and luckily Sammie was free as well. I then had a couple of colds back to back, and this month I both got my new wheelchair (which meant sitting in it for an hour or so as it was adjusted to my needs) and managed to go watch the Gateshead Parkrun at Saltwell Park and then go to breakfast with the Running Ninjas. All this going out (and having colds) has meant I’ve not been on my computer or laptop, and it’s much easier for me to blog from them. Also the more physically active I am, the worse I get cognitively, so just managing the process of trying to write a blog post was too much for much of it. I think for next year I’m going to drop it down to monthly. I still want to blog the notable things I do, but without as much pressure. I’ve managed to continue my daily dairy, even if some days all I do is press the activity buttons (the reason I chose Daylio as my diary app in the first place). I also hope it’ll mean I get around to writing some of the other blog posts I wanted to, such as what equipment I find most useful and ways of getting around problems when bedbound. I had a good Christmas. Got ridiculously spoilt, with a Bilbo Bbox (filled with goodies like a calendar, mug and stickers featuring Bilbo, the good orange boy), a Spoonie Survival Kit, many penguins and penguin-related items, chocolate, and other stuff I’m too forgetful to remember right now 😛 Sammie came over a few days before, and that was awesome and I got squishes! Johan cooked Christmas dinner, and his potatoes were again the best ever, his pork and crackling were perfect, and it was just a really good meal. I was well enough to watch some telly, so watched The Good Dinosaur, The Jungle Book and Zog. Three films in one day 🙂 I also managed to speak to Sammie and she was having a good day. Boxing Day Sammie turned 15, which is kinda scary. 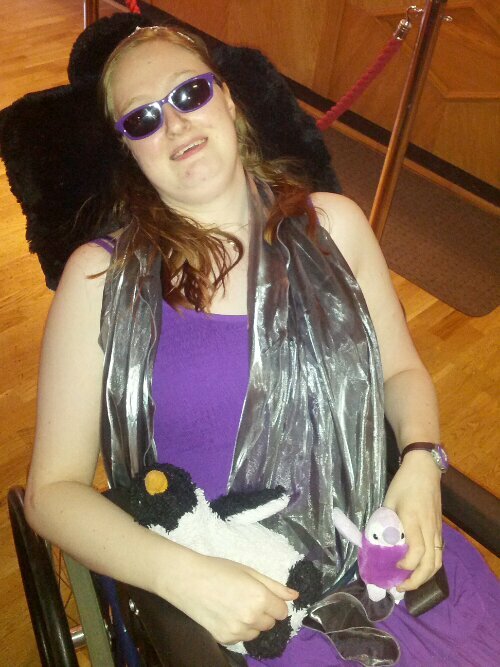 She got some awesome presents, her favourite being a visit from a friend to help her celebrate. She is really caring and awesome, and I’m really proud of how she’s growing up. Johan nearly cried over the message she wrote to him on the gift tag of his present, which is not normal for him. I’m hoping the next year is good for both of them. New wheelchair is awesome. 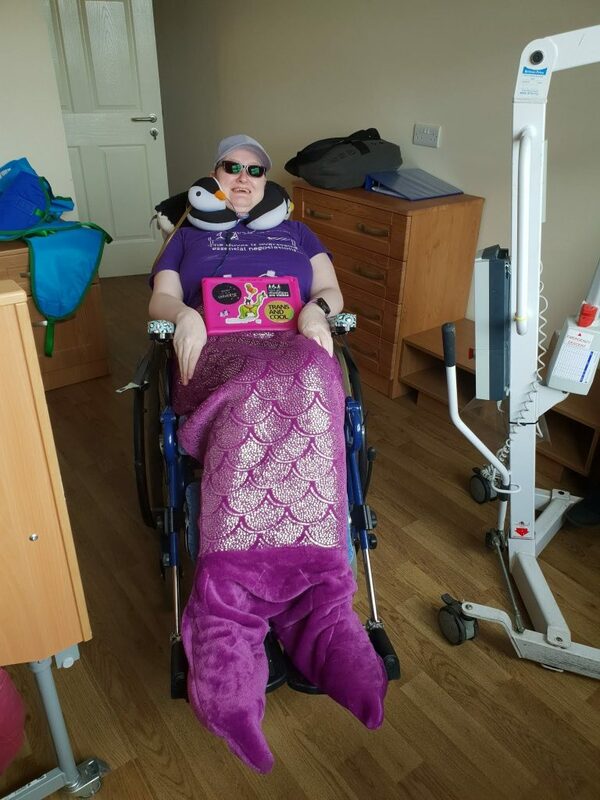 It actually fits me, and as it’s more supportive I don’t have to be fully reclined all the time (I have been working on being sat more upright as well, which has been helping). Provisional name is Tank 2, as it weighs even more than my old one, but it’s apparently easier to push, and Johan can even run with it a bit. I’m really happy to have it, and I want to look into (non permanent) ways of decorating it because it’s plain black and that’s not me. I’m hoping that next year will be good. There’s fireworks on the Quayside to celebrate, and if I’m well enough I want Johan to take me onto the ramp where I can see them (living up a hill has its advantages). If I can’t, that’s okay. I’m working on my goals for next year, but that’s for another blog post. Next week I’m getting a new wheelchair. After a few years and about three referrals, I’m finally getting one on the NHS. I’m not entirely sure what type it is, but it’ll tilt, recline, have a proper headrest and should fit me. It’ll still be a manual, and it’ll have small transit back wheels to reduce the width. For the last few years I’ve been using the wheelchair we call Tank (or The Tank). It weighs a ton, has elevating leg rests I can’t use because my legs are too long, and the headrest is the wrong type so I need a pile of cushions to be able to sit comfortably in it. I was very lucky to get it – a friend spotted it on eBay, listed as not working (but in the description saying it was) and I ended up paying £95 for it, about half of which was delivery. Without that chair, instead of being mostly bedbound the last few years I would have been completely bedbound. I love Tank. With it, I’ve been able to go on many adventures. Sometimes only to the local shop, but also to see fireworks and Sammie’s school play. It’s also how I get around the flat and to the care home for respite. When I got it my ability to sit upright was limited to 30 minutes with a chest strap (5 minutes without), and it wasn’t long before even that became impossible. I soon realised that being able to use a standard wheelchair again was going to take a while, so I gave my old one to someone who needed one. 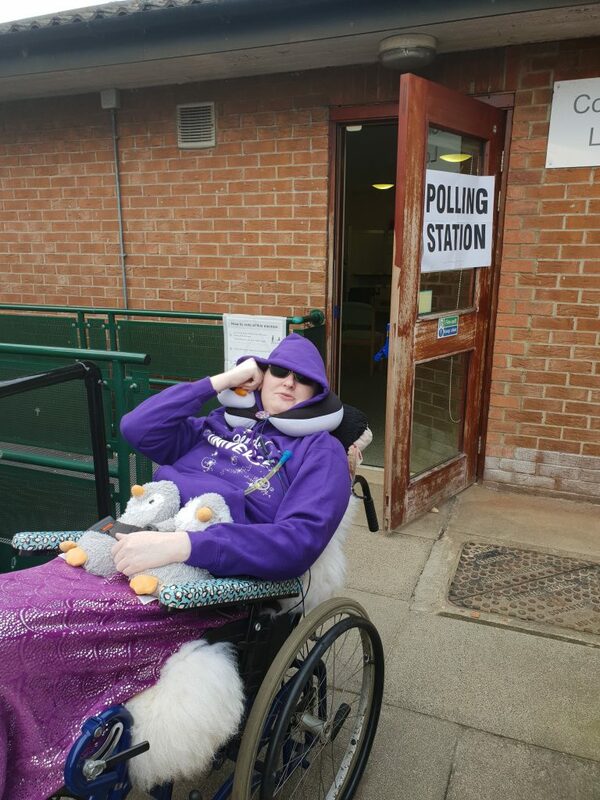 When I first got it I mostly only needed it fully tilted and slightly reclined unless I was resting in it, but for a while now I’ve needed it fully tilted and reclined or I get really dizzy, nauseous and feel faint. I’m incredibly grateful it has those functions. It’s going to be weird using a different wheelchair after having this one for over 6 years. It feels like an extension of me, and because of that only people I trust are allowed to sit in it. The only differences to when I got it (other than making it as tall as we could) are the replacement front forks and wheels from when one got damaged earlier this year, and the penguin duck tape on the arm rests, but the penguins made it clear that it was mine. I’ve not used it as much as I’d have liked to. Once I lost the ability to transfer safely, we had to wait for the hoists to be installed, which took 3 years. The only times I used it (with Johan literally dragging me in and out of it) was to vote and to go into respite. Since the hoists were installed I’ve been able to use it a bit more often, but I’ve also been more ill so haven’t used it as much as I’d have liked. 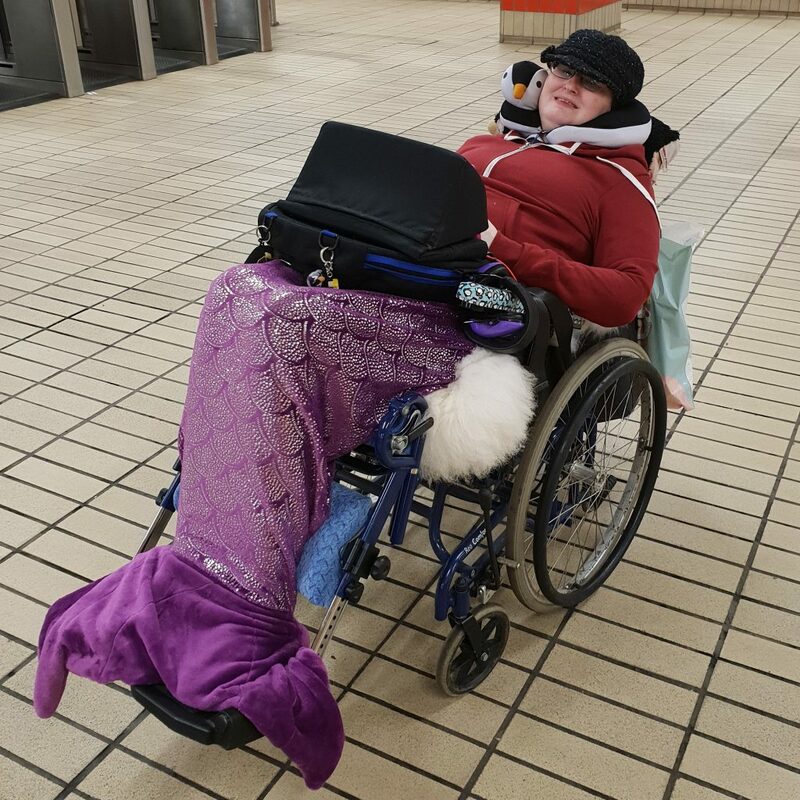 I got some looks and stares when I used a standard wheelchair, but they massively increased when I started using the Tank. 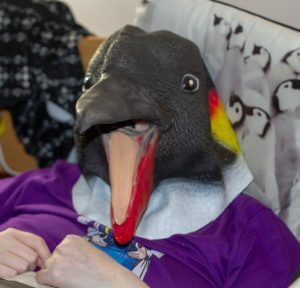 Partially due to this, I started wearing more penguin items (and carrying more penguins) so I could pretend that’s why they were looking (for at least some people that is probably true). Young kids have some varied reactions, from scared to excited. I tend to smile and/or wave at them, and like when I get a response back. 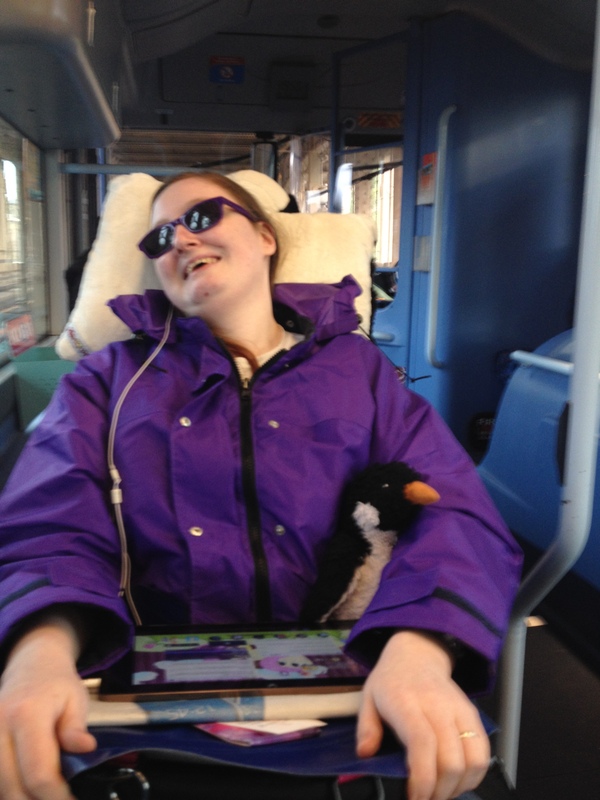 For slightly longer interactions, I bring the penguins into it, especially if they have a soft toy themselves. I’ve only had a couple of questions from kids, but I don’t mind answering them. Adults are harder to deal with. 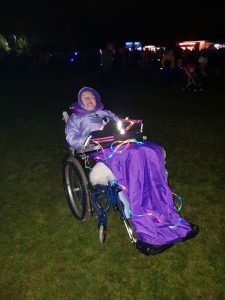 I’ve had one person declare that I’m not disabled as I can move my legs (newsflash – wheelchair use does not require paralysis), random people making comments (such as “comfortable there?”) but what can be more irritating is people trying to help. I know this can be bad for most wheelchair users, but as I can’t self propel I bring my own dedicated pusher (almost always Johan) but though he’s capable of pushing me pretty much anywhere, that doesn’t stop some people trying to grab at my chair to supposedly help. 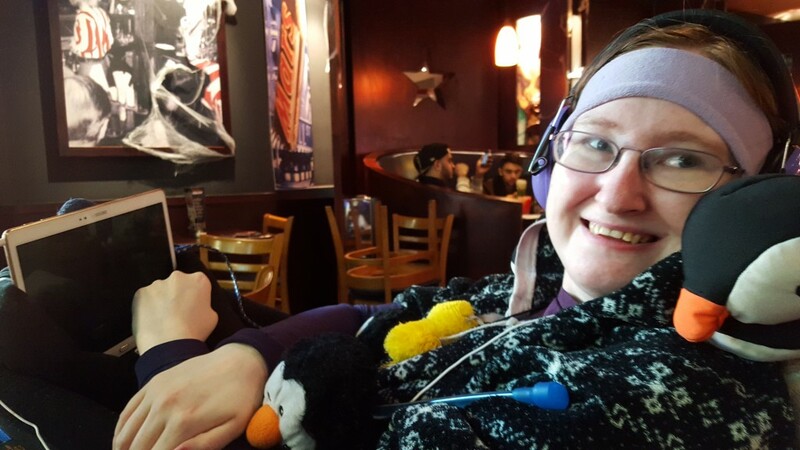 I don’t like being touched without warning or by strangers, and as my wheelchair is a part of me that includes my chair, and it can jolt me, which causes a lot of unnecessary pain. 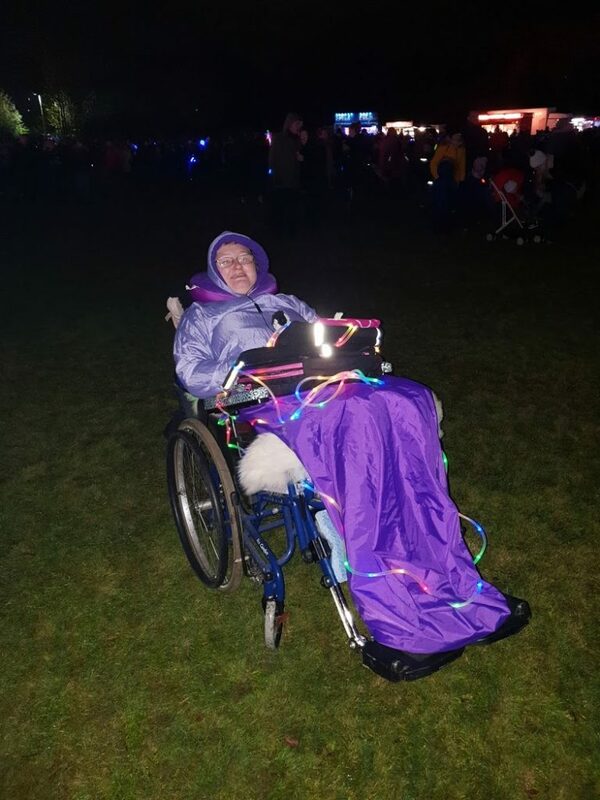 This was especially bad when we went to the firework display last Guy Fawkes’ Night, as the grass was slightly uneven (and it was dark) so every wobble someone would grab at my chair, often without even asking. I don’t usually mind offers for help (especially for things like doors) but if either of us say no, listen and don’t grab at me. It doesn’t help and it can hurt. At least this time no-one tripped over my footrests as I put lights on them (what happened last time I went, as it’s longer than expected). I’m going to miss some things about this chair. 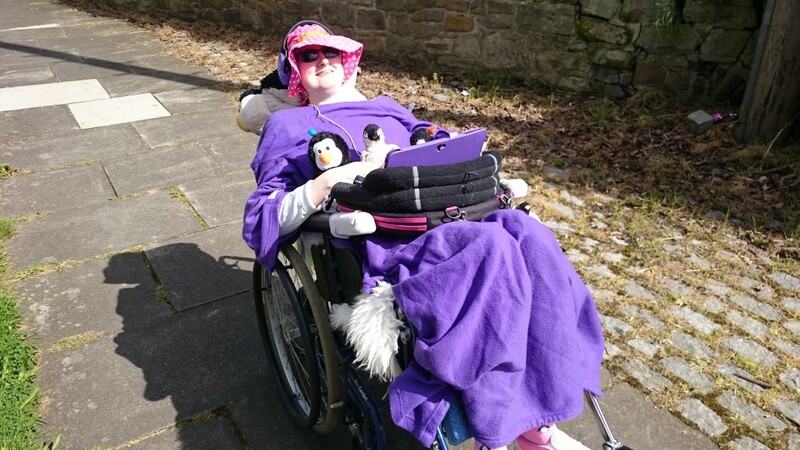 Giving up the self propel wheels will mean that I won’t be able to do my 3 metre push in a shop every other outing (as I’m not strong enough to push further), but it will mean that the new chair won’t be too much wider than my current one (which has a 14″ width seat, which is small). It’ll also mean my coat won’t catch on the wheels and it might be slightly easier to get into certain places. 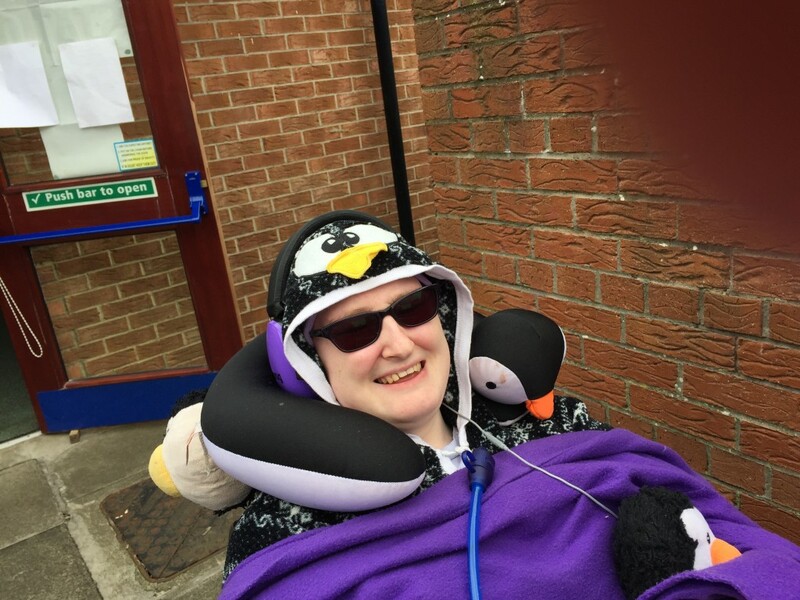 I’m also going to miss the pile of cushions I used for supporting my head, as though a proper headrest will be better, I did like that I had lots of penguin cushions. 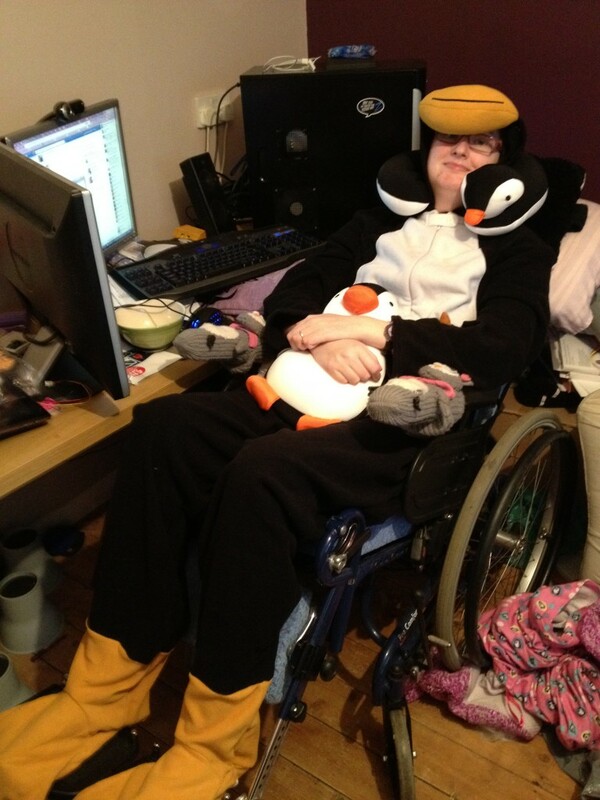 I’m sure I’ll figure out some way of penguinfying my new chair though. I am looking forward to getting my new chair. It should work better for me, and I’m hoping for a more pressure relieving cushion as I was getting sore from mine. It’ll also be good to have someone else responsible for the maintenance. Tank has been awesome, but it was always meant to be temporary. That just ended up being longer than expected. I went out to watch fireworks! The beginning of the week was okay, other than a migraine. Didn’t do anything particularly interesting. Went on my computer on Wednesday and Thursday and played World of Warcraft (as well as catching up with the previous late blog posts). Didn’t do much for Halloween other than wear my rubber penguin mask when the carers came in, which they somehow managed not to notice until after I took it off a few minutes later. Must have been one of those days for them. On Friday Blizzcon started! Missed the opening ceremony as was asleep but watched some panels after waking up. The Diablo mobile game presentation was not good. I don’t think they’d realised how much they’d misjudged their audience. What they showed looked remarkably similar to a mobile game I’d played a few years ago, so while I might try it I’m not looking forward to it the way I would a new PC game. The non-Diablo panels I saw were good though. Saturday was awesome! 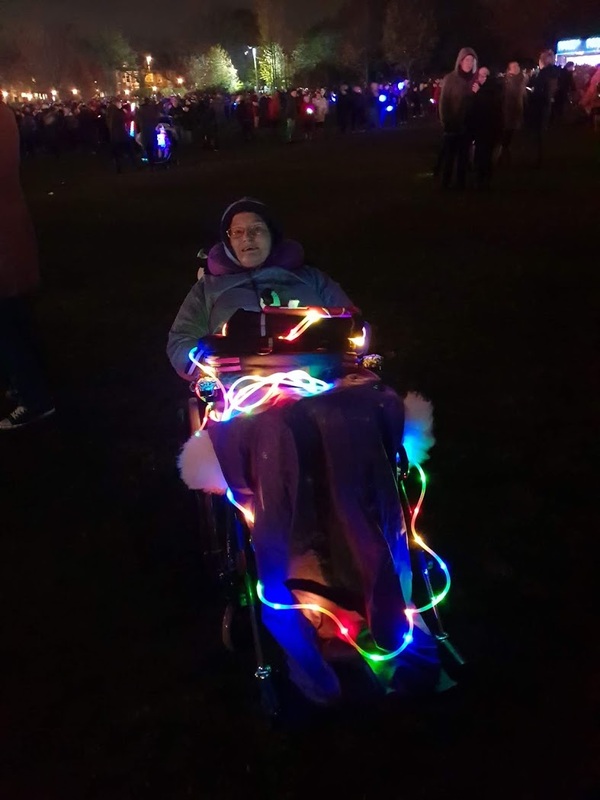 The local park had a fireworks display for Guy Fawkes Night (though a couple of days early so it was on a Saturday rather than a Monday) and I was well enough to go! The noise from the stage was so loud it was audible as soon as we left our building (about a mile away) but luckily it was the type of noise my noise cancelling headphones does well with. The fireworks themselves were awesome, and I’m really happy that I managed it (not so sure Johan was as he had to push me up and down steep hills and on grass :P). On the way home we picked up some pizza, and watched some more Blizzcon. It was an amazing day. Sunday I slept most of the day, which was not a surprise. When I was awake I just listened to Welcome to Night Vale and played easy games on my tablet. Overall mood – 3 good days, 4 awesome ones. High symptoms at the beginning of the week, but dropped to my normal by the end. That sleep from Thursday to Friday was epic. Without it, I doubt I’d have been able to go out. I did wake up every so often for painkillers and stuff, but fell asleep again quickly. Fireworks are so pretty! Going out is awesome! Noise cancelling headphones are amazing. I don’t know what I’d do without them at this point. Definitely not go out to watch fireworks. The Gutenberg editor for WordPress was fixed quickly after the bug was reported. I’ve been using it fine for this post. New events in Animal Crossing – an anniversary event that will have the other types of event with it. Started with a flower event on Thursday. Finished the first half of it by Sunday. When in World of Warcraft managed to get 2 new pets from Hallow’s End and made progress on the legendary staff. Still enjoying June’s Journey and Pearl’s Peril. Working on Halloween pictures in Cross Stitch.